Will My House Go Into Foreclosure If I'm 30 Days Behind? 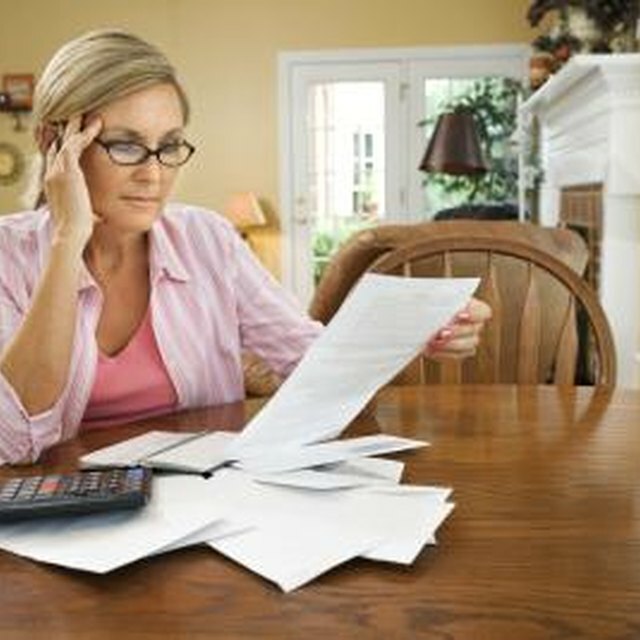 Receiving a notice of default is bad news for any homeowner. The good news, however, is that you still have time to correct the default up until five days before the foreclosure sale. The amount of time that you have to act varies by state; in many cases it is 90 days. During that time you must pay off what you owe in full or work out some other arrangement with your lender if you want to save your home. A notice of default marks the beginning of the foreclosure process. A trustee who is selected by the lender issues the notice. The trustee typically must publish the notice in the local paper and file the notice with the local recorder's office. In some cases the notice must also be attached outside your house. The notice of default can be issued after missing as few as two consecutive mortgage payments. A notice of default is issued in the course of a non-judicial foreclosure. This means that the foreclosure takes place outside of the court system under the supervision of the trustee. Not all states allow for non-judicial foreclosure. The other type of foreclosure is a judicial foreclosure which takes place within the court system. To begin this process the lender must send you a notice of intent to foreclose and then file a lawsuit with the local circuit court. Judicial foreclosures usually take several months longer than a non-judicial foreclosure and can include a deficiency judgment by which the defaulted borrower must pay the bank some or all of the loan's balance. Once the notice of default is issued, the clock starts ticking. You have until five days before the final sale to cure the default in order to reinstate your mortgage. This period is known as the reinstatement period or also the silent period. In many states, including California, the reinstatement period lasts for 90 days. Other states range from 30 days to 150 days. If you think the lender made a mistake you must prove to the trustee that you made the payments. If you did not make the payments, the simplest way to cure the default is to pay off all of your missed payments and any fees. You might also be able to work out a repayment plan with your lender, or apply for a government-backed modification program to lower your payments. If you lost your job you might be eligible for an unemployment forbearance. If you are willing to leave your home, pursuing a short sale is another option to avoid foreclosure. Sometime near the end of the reinstatement period, a notice of sale will be issued. This schedules the date that the foreclosure auction will take place. Once the foreclosure is complete, prepare to be evicted. Many states, including California, give you 30 days to leave the home. A few states have a redemption period, during which you can reclaim title to your home by paying the entire unpaid debt and all of the foreclosure costs. This period can last for as few as 10 days in New Jersey to as long as two years in Tennessee. Remember that a sale does not always take place 90 days after a notice of default is issued. Timetables for foreclosure vary widely by state, so be sure to check the laws in your state if you have received a notice.